Draped with their own individual state team jerseys, with training kit positioning at the sideline of the court, small kids and some teenaged players were getting trained. The coach was sending shuttles to different sides of the court and players had to practice various return shots and at the same time, getting taught how to manage their body positions and placements on the court. While there is nothing new about this coaching methodology, the only thing that attracts attention was that the coach was a lady, in a profession mostly dominated by male shuttlers. A two-time national champion Sayali Gokhale knows how to get the things done. She doesn’t care if she is the first woman shuttler to take up coaching as a post-retirement profession. All that she cares is giving back to the sport and the academy that gave her the nation-wide recognition. She wants to be a trailblazer for the current generation of women’s badminton players to take up coaching as a profession after the retirement. She wants to enjoy the game at the academy. “As of now, it will be two years in May since I take over as one of the coaches in the academy and I am quite enjoying it,” Gokhale told SportsCafe on the sidelines of the practice court. “It is not very tough because I got very good support from my parents and my in-laws both. Sagar (Sagar Chopda, Sayali’s husband, also a former Junior Doubles’ National Champion himself) works in Bharat Petroleum in Bombay and he has encouraged me to come to Bangalore and give back to the game that we both love the most. Starting her career in her home city of Pune - a city that has been home to many talented women shuttlers in the country including the likes of Trupti Murgunde, Gayatri Vartak, Aditi Mutatkar, Neha Pandit to name a few – Gokhale was always destined for big things since her childhood and her fluid movement on the court made her a name to be reckoned with on the national circuit. However, her lack of physical stamina to sustain for long period resulted in Gokhale and disappointment going hand in hand and that meant climbing up the ladder became a stuttering one for her. “No regrets really for the way my career had been panned out. Probably if I was a little stronger physically earlier in my career, probably I could have achieved a lot more at the higher level in the international circuit. Gokhale’s unbiased admiration for Padukone is just a mere reflection of how much she owes to India’s first badminton superstar for her career. And it is not quite a surprising one because the name of badminton coaching in India was synonymous with Padukone for the longest time. However, a gentle shift in paradigm saw Pullela Gopichand, who went on to become an All-England champion in 2001 (second Indian after Padukone), become the face of Indian badminton coaching after the exploits of Saina Nehwal and PV Sindhu at the 2012 and 2016 Olympics respectively. But if that means, the importance of Prakash Padukone Badminton Academy has diminished a bit, you will be left looking utterly foolish, or at least Gokhale thinks so. When I asked her about this, she immediately resorted back, saying, “Prakash Sir is a man of vision. He knows what it takes to be a good badminton player. That’s why we are basically focusing on the junior level game and want to make them prepared for the bigger challenges that lay ahead. All the boys in the Under-19 category we have here is very talented and they are very eager to prove themselves in the international arena. This is an exciting bunch and will surely go on to do well. “As far as your question is concerned, even Gopi Sir was also getting trained at this academy,” she adds with a chuckle. And she is not wrong with the statement either. 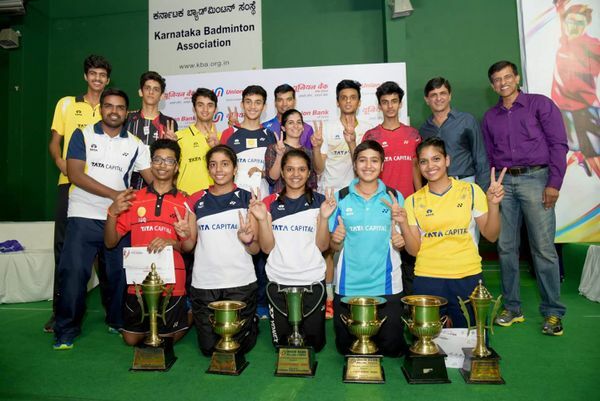 Lakshya Sen, one of Gokhale’s wards at the academy, reached the Junior World No.1 position and showed maturity beyond his age in the senior national semi-finals against Kidambi Srikanth last year. The academy also houses one of the best wings of future stars who can easily break into the international level sooner than later with proper training and assistance that she believes is a prime for any young shuttler to rise up in the level. During her playing tenure, Sayali, to get more exposure, decided to move to Europe to participate in the elite league and was also instrumental in Taby Badminton Club reaching the semifinals of the elite league in Sweden and also proved a point by helping her respective clubs in the quarterfinals at Poland and Austria. The conversation had already wavered off from initial discussion and during the 15-minute chat, we had drifted across as many as 10 different topics when we had to stop it to allow her to attend the players’ performance review meeting with Vimal Kumar. But that 15-minute chat was surely going to keep an etching memory in my mind. While there is no denying that she has picked a lot while moving up the ranks in the sport – both as a player and a coach - it remains to be seen how much of Sayali’s deeds would inspire the current generation of stars to take up the role post-retirement. “People’s perception towards the sport is also changing now. And women badminton players are doing so well on the international stage now. So, I don’t see absolutely no reason that why women shuttlers can’t be a coach post-retirement,” she ends the chat with this but not before giving a strong message.